DeMarco Murray reportedly went to Philadelphia with the goal to sign a contract, and he did. The Eagles gave the running back a five-year deal worth $42 million with $21 million guaranteed. 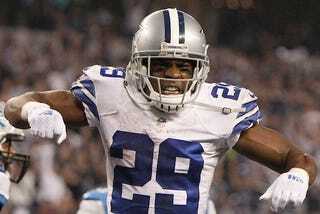 Report: DeMarco Murray Is Going To Philly "With The Intent To Sign"